There was some great news for Chile in the latest edition of the Grant Thornton Global Dynamism Index (GDI): we ranked second out of 60 economies, behind only Australia. So what do the results mean? The GDI assesses and ranks the dynamism of economies around the world. So last year, the index suggests that Chile’s business growth environment improved more than any other emerging economy. And every advanced economy bar one. Chile normally scores relatively well in these types of rankings – 12 in the Emerging markets opportunity index, 34 in the World Competiveness Report and 37 in the World Bank Doing business index. We ranked 11 in GDI 2012 – what’s driven the improvement this year? The GDI splits dynamism into five areas. 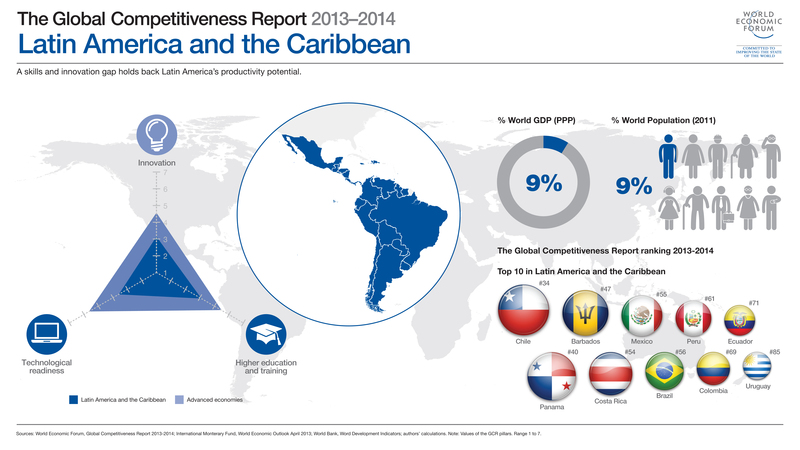 Two of these – economics & growth and labour & human capital – naturally favour emerging economies. Chile does well in each, ranking 11 and 8 respectively. However, the economy also ranks high on two more stable areas, which take longer to develop: financing environment (3) and business operating environment (17). In fact, Chile is the top ranked emerging economy in each area. It is an incredible achievement and speaks to the continuing development of the economy in terms of rules and regulations, political and institutional stability, the ease of doing business and access to finance. Entry into the OECD (Organisation for economic cooperation and development) – which requires economies to meet standards in a wide range of policy areas – in 2010, confirms the amount of progress that has been made over the past two decades. So is this translating into business investment? Well, we were the 11th largest recipient of FDI in the world in 2012. Over US$30bn flowed into the economy. Up from US$23bn in 2011. These inflows will help build capacity and support growth which is expected to remain at around the 5% mark in the short to medium-term. The slowdown in China is a key risk of course. It accounts for 24% of our exports and the drive to move the economy away from investment towards consumption could have knock-on effects on demand for our commodities. If the price of copper subsequently fell this would be a major problem. Chile is the largest exporter of the metal in the world. It accounts for approximately 60% of exports, 15% of GDP and 20% of government revenue. Rising copper prices over the past decade have supported economic growth. But production has barely moved. Interestingly, science & technology (38) is the one area of the GDI that Chile ranks below average on. It would be good to see some business investment channelled into R&D to boost productivity. Together with further diversification into services, this would support sustainable growth in Chile, allowing us to build on the dynamism of our business growth environment. Jaime Goñi is Managing partner of Grant Thornton Chile.